I am an unapologetic fan boy of virtually everything Jeff Tweedy has done. I won’t claim knowing about Uncle Tupelo while they were still making music, but I was lucky enough to catch part of Wilco’s second stage set at the Horde Festival in 1995. We were milling around in the main pavilion when my buddy Jason Bryant recognized one of their songs and dragged us all out to one of the saddest little stages I’ve ever seen. I don’t remember a whole lot about the songs we saw, but I do remember some nappy haired freak of a guitar player playing one of the fastest and amazing runs I had ever heard. From that point on, I was a convert and the devotion would only grow over time. 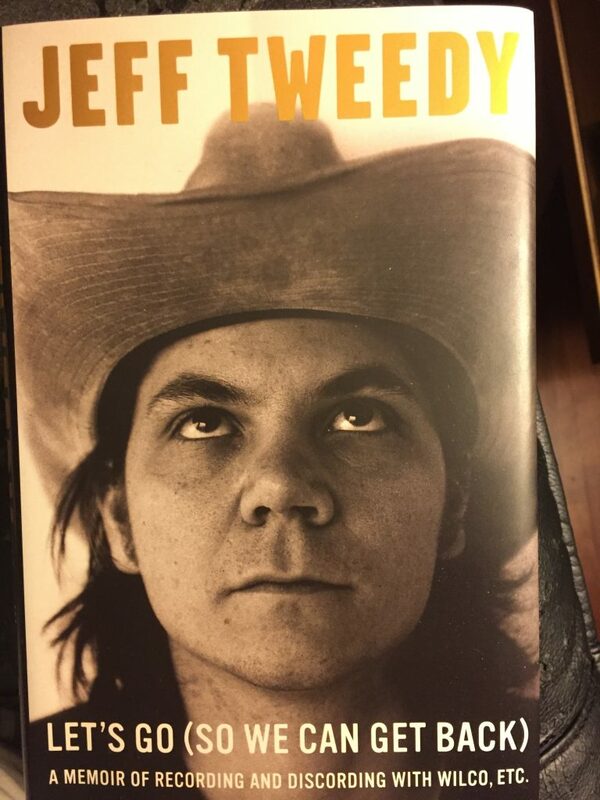 Jeff Tweedy’s memoir “Let’s Go (So We Can Get Back)” features stories about his childhood, his family and his band. I’m guessing I was pulled in so deeply because the first words of the introduction are a “Star Wars” era Wilco story. We almost immediately are taken to the Loft, the legendary Chicago clubhouse/studio that any sane gear head would sacrifice a toe to visit. On page four, Tweedy instructs the reader to stop reading and watch a YouTube video of the band Rich Kelly & Friendship covering the song “I’d Like to Teach the World to Sing.” By the way, I just stopped to watch it again. How could I not fall in love with this book? The later-era stuff gets glossed over a bit – I would have loved to hear more about “The Whole Love,” for my money their most criminally underrated album. That said – I wouldn’t be willing to cut anything out. I like that it’s not a 600-page tome. I’ve been lucky enough to interview a few of my favorite musicians. In doing so, I’ve learned that it’s not a great idea to interview your favorite musicians. I don’t want to follow a musician that thinks their life justifies 150,000 words – even if it does. At the end of the day, this story is a love letter to Tweedy’s families – his loving, if troubled childhood family, the throngs of artists he’s made music with over the years and, mostly, his wife and two sons. It can be hard to root for a guy that seems to have everything, but for all the Tweedy fan boys like me out there, it’s good to know that his character seems as admirable as his artistic output.